Do you have any more details for this part? If you want the code-monkey perspective: https://github.com/metabrainz/musicbrainz-server/pull/645 is what I have so far 🙂 (needs updating though). If you want a human-friendly perspective: at first at least the genres will just be a subset of tags that have a “genre seal of approval”, so to say. At some point it’d be awesome to turn those into something more than tags (so that they could have, say, translations and Wikipedia info), but this is a very basic “we want some way to look at things by genre” option that mostly doesn’t change how MusicBrainz itself works. It should be a bigger change for say Picard, since instead of looking at all tags it could just look at genre-approved tags and set those as genre. We actually decided on this as the “easy” starting point at our summit a couple years ago, it’s just nobody had had the time to actually look into working on it! Genres and their assignment is the area full of controversy and disagreement. I am not aware of any consistent conceptual framework for tackling this task. All existing music databases are amateurish in this regard and frequently don’t even have clear genre definitions. Let alone the established criteria for classification. I can’t help but wonder what metamodel is going to be used for MB. Great. Welcome aboard Reosarevok! Always wanted to see Genre and Sub Genre personally, but tags are a start for sure! I already iterate over the tags looking for known genres on my imports for TheAudioDB, but anything that makes that easier and more intelligent is welcome. 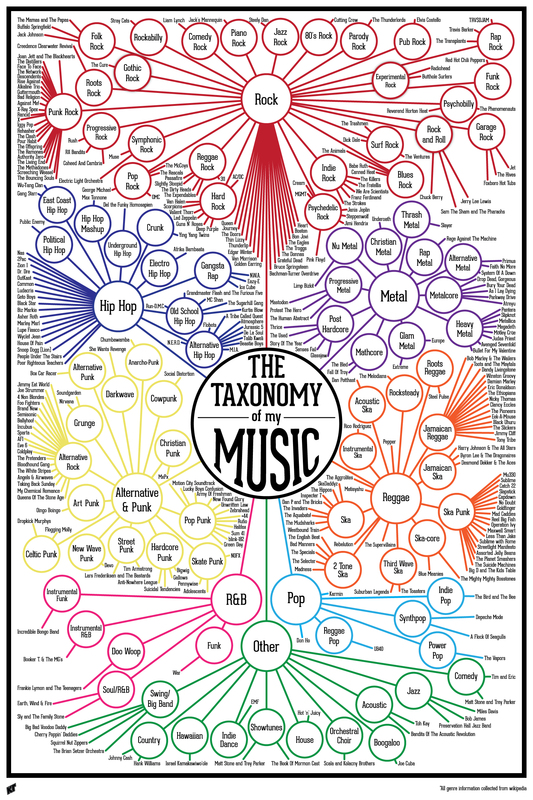 There was a great wikidata page somewhere with all the genres in a spider diagram from wikipedia artist pages, I found that useful in my development. So the genres are just plain tags under a different name and nothing beyond? That will be yet another infodump, I can guarantee you. If you want to make sense of data entered by users you should give them a framework and that framework must have a meta-level. Plain tags with no attributes is a recipe for disaster. Nothing beyond for now, it is “very basic” option for tagger as a “starting point”. There were few genre “frameworks” and none was convincing. That was years ago. Would be interested in any update on this front. @reosarevok Thank you for your details. Next Next post: BookBrainz is now an official MetaBrainz project!